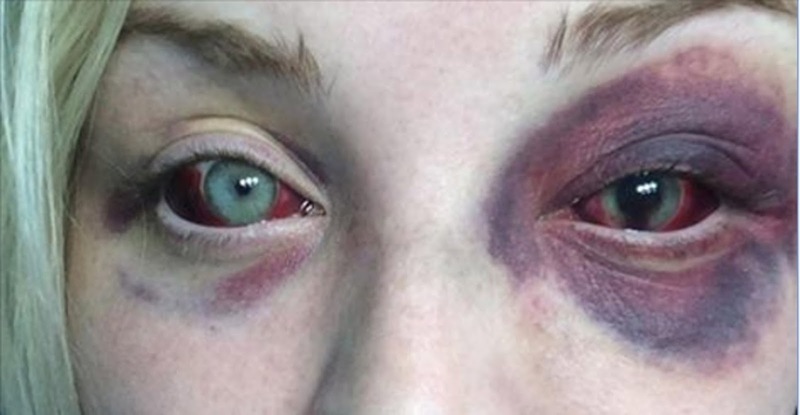 A young woman in Missouri was brutally beaten by her boyfriend, causing her to permanently lose vision in one eye, reports KDSK. In response, the woman’s father is said to have offered a $500 reward to anyone that can provide information on the whereabouts of the suspect. Chelsea Simmons, 20, was nearly killed by her boyfriend, 27-year-old Cedric Powe, during an altercation. Powe, also known by friends as Moe, reportedly fled to the south side of St. Louis. Mark Zack, Simmons’ father, offered $500 to anybody that could provide police with reputable information that will help them track down his daughter’s attacker . “He needs to be caught so that this doesn’t happen to anyone else, and I don’t have to worry about it happening to her ever again,” said Simmons’ stepmother. Doctors say that Simmons was just minutes away from certain death, and although it’s a miracle that she is alive today, she will no doubt endure pain from this incident for the rest of her life. Powe has a lengthy history of criminal activity, including a 2008 arrest that resulted in a domestic battery charge, along with obstruction of justice. Powe plead guilty to the obstruction of justice charge and was sentenced to one year in prison, but because of his guilty plea, the domestic battery charged was dismissed. According to reports, Simmons filed a restraining order against Powe on Dec. 27, but both the families and authorities realize that may not necessarily protect the young woman. Powe has a history of violating an order of protection, including two incidents in 2008 and 2009, reports MVN News.